Father’s Day 2014 – Celebrating The Ordinary Guy! Happy Father’s Day Dad! June is bursting with great features and indepth devotionals in SGN Scoops digital magazine! 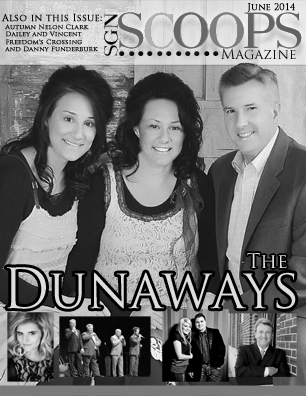 We feature the family music of The Dunaways on our cover, as well as the latest Scoops on Danny Funderburk, Freedom’s Crossing, Debbie Bennett and Autumn Nelon Clark.